Bitcoin (BTC) split in two on August 1st 2017, creating a new, separate blockchain. Say hello to Bitcoin’s new twin: Bitcoin Cash. 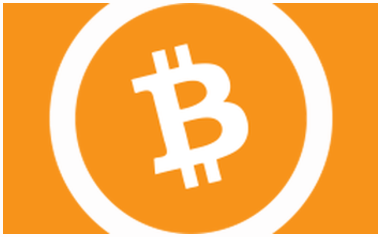 Bitcoin Cash (BCH or BCC) is a new Bitcoin clone designed to speed up digital transactions. Bitcoin Cash launched on August first after some miners decided to split bitcoin’s blockchain in two. Blockchain is the digital ledger that records every bitcoin transaction. If you owned Bitcoin during the split, you might already have some Bitcoin Cash in your wallet. Most Bitcoin owners received an equal amount of the new currency, doubling their crypto stash. What does it mean for online players and casinos? Because of the 1MB limit on blocks, Bitcoin transactions are not cheap anymore and require high fees in order to be confirmed quickly. Off-chain payment hubs have flaws and can’t work in a decentralized way. By hard forking bitcoin and increasing the block size, Bitcoin Cash reinstalls very low fees and faster transactions on the blockchain. Players can now deposit their coins instantly on the casino platform, without paying high fees. It’s only a matter of time before online casinos and players embrace Bitcoin Cash cryptocurrency. Cloudbet casino: features all your favourite games, including bitcoin slots, video poker, roulette, blackjack and baccarat, all available for Bitcoin Cash. The casino features a newly redesigned live casino offering users the most authentic, real-life casino experience. Players can choose from over 65 live dealer tables, including a immediate seating feature – no waiting required. 100% first Bitcoin Cash deposit bonus, up to a maximum of 5 BCH. Betcoin : is the leading full service Bitcoin Cash casino and poker room featuring the very best entertainment. 100% up to 7.5 BCH + 10 free spins! Fortunejack: a leading bitcoin and cryptocurrency casino available to players worldwide. Deposit, play and withdraw directly in Bitcoin Cash. 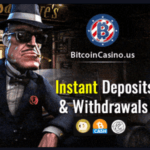 Bitcoincasino US: play at the official casino of the United States, instant Bitcoin Cash deposits & cashouts, 100% welcome bonus. Bitstarz: offers games of several different providers in Bitcoin Cash currency and is one of the leading bitcoin casinos on the market. Betchain: Hybrid casino established in 2013. Accepted Bitcoin Cash in February 2018. Awesome promotions. Ignition: offering 100+ casino games and a fully loaded poker room, Ignition Casino and Poker is now accepting Bitcoin Cash deposits. Cash games: deposit Bitcoin Cash, play roulette, dice, crap, poker and many more fun games. No registration and provably fair games. Trueflip: international blockchain lottery with open source code, fast registration, instant payouts and transparent prize fund. Bitcoin Cash accepted. 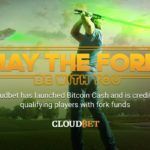 Cloudbet sportsbook: offers unbeatable value odds and unrivalled betting limits of up to 36 BCH. Players can enjoy pre-game and live bitcoin betting on a huge range of sports including the NFL, NBA, UFC, MLB, and Premier League, with on average 30 markets per event. 100% bonus up to 5BCH. Betcoin sportsbook : Sports bet BCH on American football, soccer, basketball, tennis, baseball, cricket, Aussie rules, table tennis, futsal, electronic Sports & more! 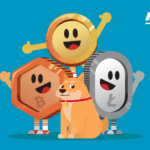 Crypto-games: Play dice, swap coins, tip players and have fun! Catch the Winning Spirit! Safedice : play dice game with BCH. Low variable house edge, auto betting, anonymous registration. SatoshiDice: the famous blockchain-based dice game is back, start betting with Bitcoin Cash. No account needed. SatoshiBones Cash: the verifiable, fun, and easy Bitcoin Cash dice game from Bitzillions.